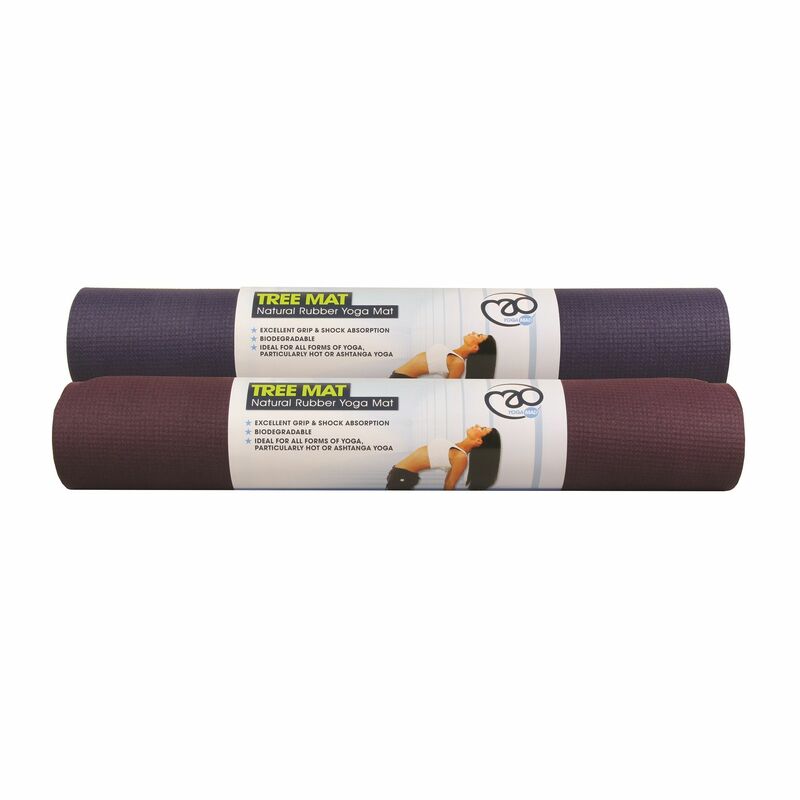 The Yoga Mad Tree Mat is a natural yoga product made from the rubber tree, which makes it a more ecologically sound alternative to PVC mats. It provides unmatched grip as well as excellent shock absorption and abrasion resistance. This 4mm (0.16”) thick mat has round corners and is equipped with 100% cotton mesh. 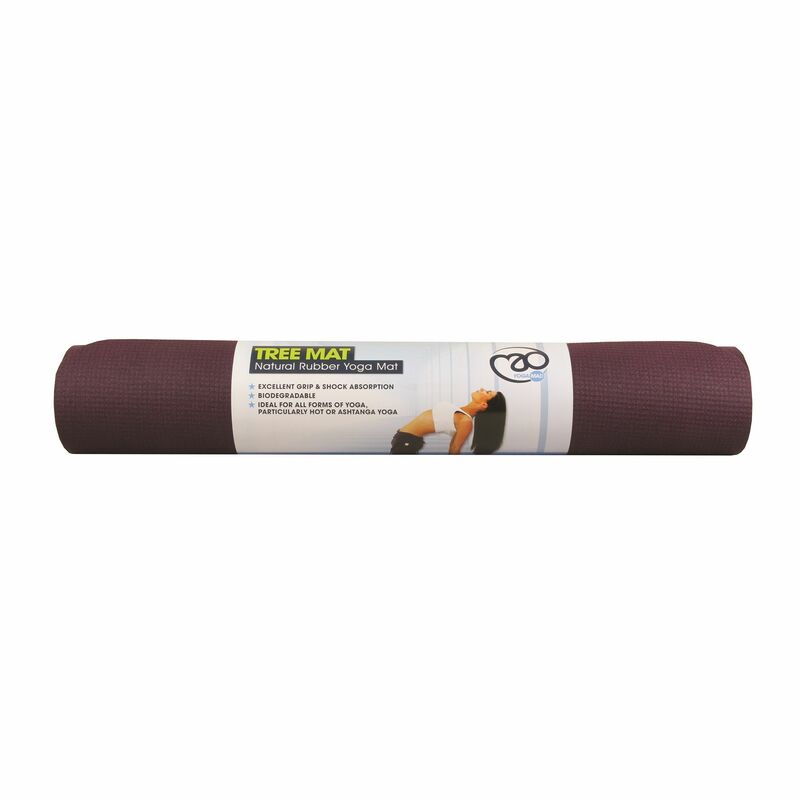 for submitting product information about Yoga Mad Tree Mat Natural Rubber Yoga Mat We aim to answer all questions within 2-3 days. 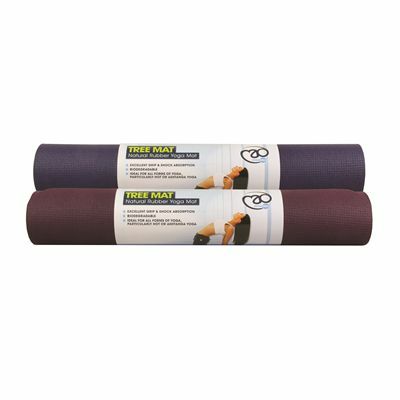 for submitting product information about Yoga Mad Tree Mat Natural Rubber Yoga Mat. We aim to answer all questions within 2-3 days. If you provided your name and email address, we will email you as soon as the answer is published. Great product used my previous one every day for 3 years would have lasted for years longer if I hadn't left it in strong sunlight for several days. I need a towel mat on top for hot yoga but I do sweat a lot. This app s perfect for my yoga classes and so much better than my previous mat, there's no slipping at all with the tree mat! Really great mat! It says that it's good for preventing slipping even when sweaty, however I have found that my feet still slide which is a bit annoying, HOWEVER: it doesn't slip on any surface when in use, it feels really good quality (as it should be at that price), it rolls up really easily and stays flat at the ends when you unroll it, it's a really lovely colour (I got the blue one), and it's nice and long which is a huge bonus! It's not overly thick (6mm I think - pretty standard) so will fit into most bags, but that does mean there isn't ample support for places such as the knees if you don't have something supportive underneath - I don't find this to be a massive issue though. The only other thing I will say is that, obviously, as it's made of rubber, when you first get it, the smell is REALLY strong, and as such, I would advise unrolling it as soon as possible and hanging it over the banister or something to let it air out before you use it - otherwise you might feel a bit intoxicated (and everything that touches it will smell of the rubber)! Other than that, very happy with this mat (recommended by someone at my gym), hoping it will be a good long-term investment, and would recommend paying the price if you know you're going to use it a lot. for submitting product review about Yoga Mad Tree Mat Natural Rubber Yoga Mat.